Our industry is still plagued with elearning designs that focus too much on content (i.e. what the learner needs to know). We believe elearning instructional design should focus on what the learner needs to do. Michael Allen, our CEO (and best-selling author), defines instructional activity as “interactivity that engages the learner’s mind to do those things that improve ability and readiness to perform effectively.” We believe that this is the key to authentic, scenario-driven elearning experiences that get people to think differently, act differently, and work differently. 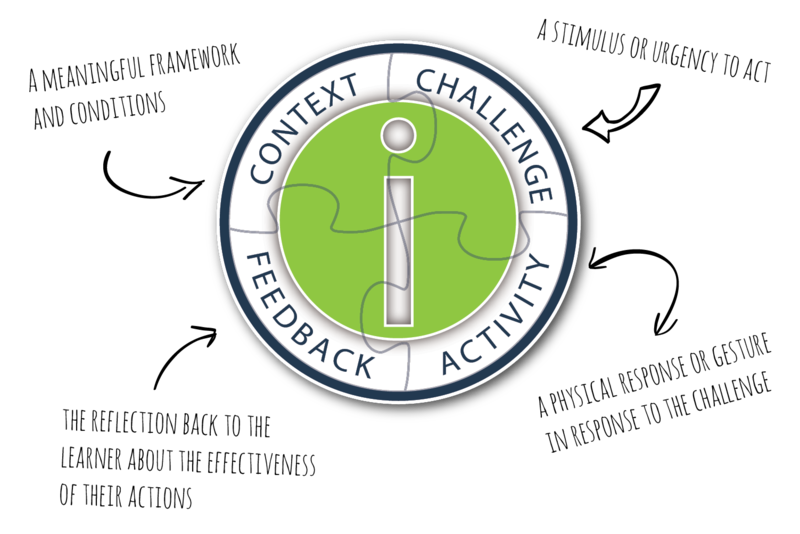 The CCAF Design Model drives instructional purpose and interactivity for each learning project we design and is implemented through our agile SAM Process. Context—a meaningful framework and conditions. Challenge—a stimulus or urgency to act. Activity—a physical response or gesture in response to the challenge. Feedback—the reflection back to the learner about the effectiveness of their actions. The interactivity we design for elearning must require the learner to do something that is cognitively demanding and that leads to improved performance. 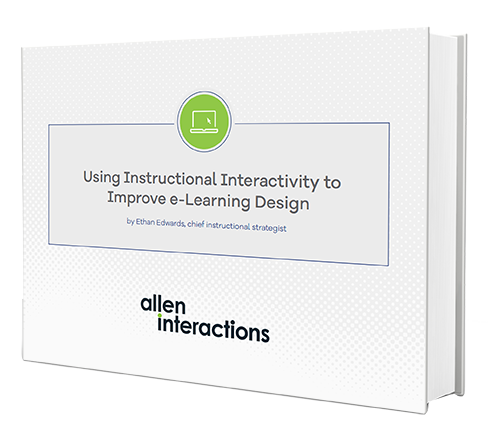 Learn the principles of instructional interactivity to improve your elearning designs.